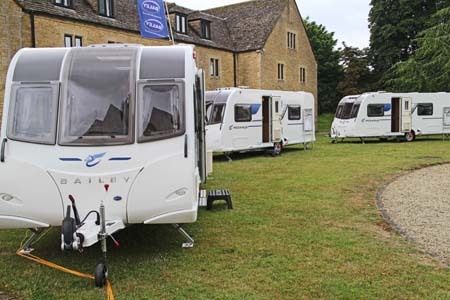 All New Bailey Pegasus Range for 2016! 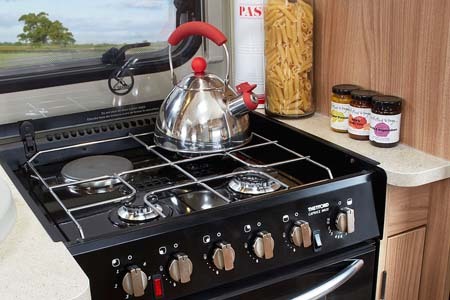 It’s hard to believe that Bailey of Bristol’s Pegasus model touring caravan range was launched six years ago and introduced the Alu-Tech manufacturing process in to caravan design. Move on into another decade and we now have the fourth generation of the Bailey Pegasus, with new development and methodology. Over a seven-month timeline “Project Aurora” as it’s known has moved from 3D design to an eight-stage programme involving considerable investment in time, staff training and recruitment . 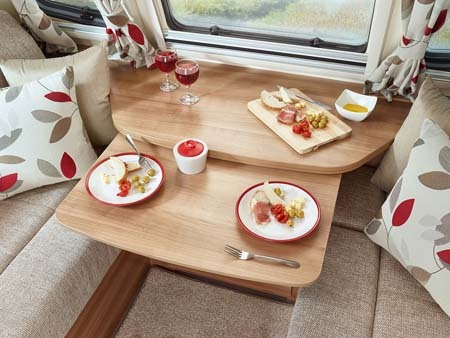 There are seven layouts in the Pegasus 2016 portfolio; the popular Genoa, Verona and Rimini models have been recalled but re-configured to make the most of the interior living space. 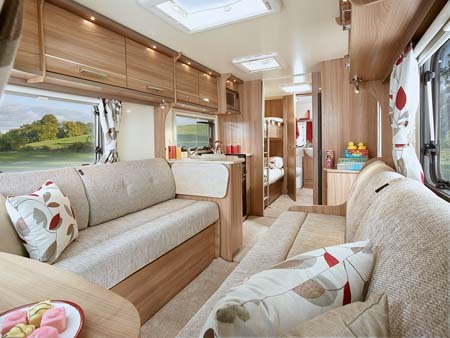 The five-berth single axle Pegasus Ancona has also been retained but re-designed with a dedicated children’s bedroom at the rear and a full-width transverse end washroom. There is an option for a dealer-fit sixth berth. A new model, the Pegasus Palermo is a twin-axle model, a big brother to Ancona. 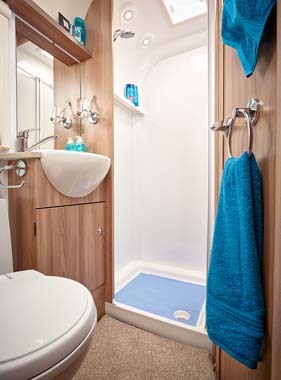 The continued success of the four-berth end washroom layout, Pegasus Verona, led to lateral thinking and the design of Pegasus Modena, a compact model with MTPLM of 1,300kgs and a body length of under 5.5 metres, yet accommodating a fixed double bed and an end washroom. Pegasus Brindisi completes the collection; a single axle four-berth with a transverse island bed layout. When you see the range, don’t be surprised to note some of the design nods from the current Unicorn range, like Mendip Ash furniture and Italian stone-look kitchen work tops, nor the reduction of weights; there’s an average weight reduction across the new Pegasus models of 20kgs. And don’t assume price hikes either. One way that weights have been reduced is the new Dream Sleep soft furnishing design. With higher new shaped lighter backrests giving better lumbar support and model specific ‘Dream Sleep’ mattress with lightweight honey core foam construction and breathable anti-bacterial fabric; the seating-to-mattress make up is quicker and easier too. Interior changes include front seats that are 5% (on average) longer than in the equivalent current Pegasus model, re-configuration of furniture increases the available floor space by 10%, Kitchen worktop space also benefits from a 10% increase and fridge capacity in the single axle models has increased by 30%, with the exception of the Bailey Pegasus Modena. Prices are ex-works and include VAT but exclude a delivery charge. With more space, more home comforts and improved heating and seating over previous Pegasus models, consideration given to unladen weights, practicality and user friendliness, this range has many merits over previous Pegasus models and is now knocking on the stable door of the Unicorn. We took delivery of our 2016 Bailey Pegasus Brindisi on 2nd June and have used it a lot thus far. However there have been issues – some sorted – some not! Back to the fixed bed – I found that with even being on my own the top end of the mattress is lower then the rest – this is the tri-angle shaped bit that flips over to enable the bed frame to be pushed back to the caravan side – so causing your head to be at a down angle – even with my Dunlopillo pillow and is not comfortable so I turn round having my feet at the head end – I still sleep in the ‘dip’ but at least on my own it’s acceptable – of sorts – we’ve been onto Bailey but are still awaiting a resolution and this has been 3 months now it really needs a proper quality mattress but then they weigh. So my husband is on the front make up bed and this is not good either – he finds the overturned cushions hard and uncomfortable and gives him backache – again we are awaiting resolution from Bailey – again inferior upholstery foam. So talking of the front sofas – they are terrible as had been said before they slide forwards and we find we have to put our feet up on the opposite to brace ourselves from slipping off – also when you’ve been sitting for a while you end up in a hole as the foam collapses, again this is most uncomfortable – Bailey are getting onto Dreamsleep but not heard anything back from them yet. We’ve had other issues too: kitchen sink going rusty – it’s been replaced but the new one is going the same way. The hinge on the round cupboard is coming away. The main problems are with the inferior foam used that’s how they’ve shaved 20kgs off the van weight. In conclusion it’s a nice stylish van but we didn’t buy a caravan to have to sleep in seperate beds and were far from happy about this. We hope Bailey resolve these issues before our 1 year warranty is up!!! Hope you managed to get your issues resolved with Bailey Carol. Bit of disapoinment, took delivery of new 2016 Verona in March, been back with a lighting fault, now the combi heater is goosed and needs elements changing. Couple to that the poor design the EHC lead stuck half way down the awning side of the van and the fact that the internal seats continually slide forward when you sit on them and I’m thinking, why on earth did I change from Swift. Sure it’s well appointed and in general the layout and finish is good, but I think mine must have been built on a Friday afternoon! Bailey need to rethink the EHC it’s an eyesore, and the seats whilst I am told are comfy to sleep on, their split design means they constantly slip and slide. Guess you have to live with a van for a few trips before you pick these things up, but 3 month in, I wish I stuck with a Swift. becoming expensive plus quality not like it used to be!! Collected our new Brindisi on Saturday and we are absolutely delighted. Glad you’re enjoying your new purchase. Thanks for sharing your comments with us. Been to check out the new Bailey Pegasus range especially the Brindisi . We still prefer our Verona gt 65. We like the differential kitchen look. The fridge is so much better having width rather than being taller. The new range appears more basic looking. We think the only thing better is the higher back rests for the seating. The only downside on our caravan is the water pressure from voltage to leisure supply. Thanks Amanda. It’s great to hear people’s views. I really like the look of the new Pegasus range and can’t wait to see them in the flesh, particularly the new Ancona. Having just sold our 2011 Ancona 6 berth, I would like to know if the new body shells are more resilient to impact damage ie, hail and stones being flung up from vehicles whilst travelling? The older Baileys appear to be as soft as butter and dent really easily. The brochure says the latest Pegasus models use “thicker laminated bodyshell panels covered in an impact resistent outer GRP skin”. This gives “increased strength and durability providing greater protection against the elements”. I think basically there’s more resistance to hailstones and stones being thrown up against the panels whilst towing. 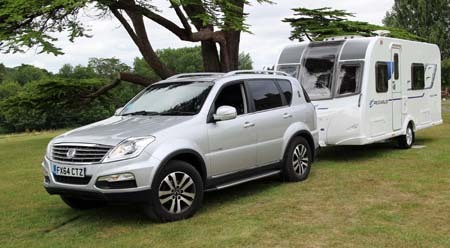 As with any type of caravan, it may still be worth investing in a towing cover to prevent damage whilst towing. 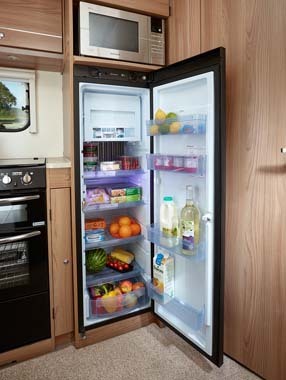 Ok we will ask if possible to get a bigger fridge on the Bailey Pegasus range – it looks like the fridge freezer is built in and wouldn’t allow for bigger overall dimensions, so assume you mean you would like have a more equal split between fridge space and freezer space? Just looking at the Pegasus range though, I believe all models that offer more than 2 berths have fixed beds. The Brindisi offers 4 berth accommodation with tranverse bed, which is obviously fixed but does retract a little to take up less space. We very much like Bailey caravans a their quality washrooms and general Finnish but when looking around for a van for a 6 month EU tour next year there will be mainly 2 adults but occasionally 4 adults and we very much liked a mid section diner that could make a double bed but mainly used for dining. We do not like fixed beds as to much space is lost without being able to fold away. We would also like a larger freezer and would like to know if this is possible? I’ve spoken to the marketing department at Bailey and they say they couldn’t supply a larger freezer inside the new Pegasus unfortunately Grahame. Where is the Rimini equivalent with two fixed single beds?? ?